Pour some water over the dried rice cake to rehydrate it. 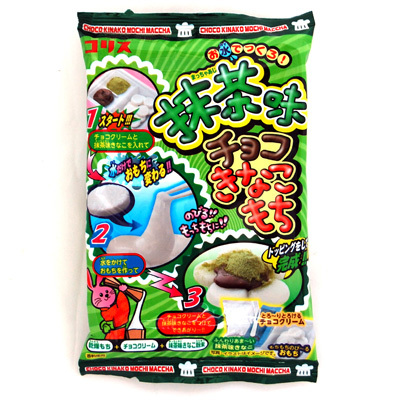 Enjoy the rice cake with chocolate cream and matcha green tea-flavored kinako powder (roasted soybean flour). You can make tasty confection with this kit. It can be a good treat for kids.